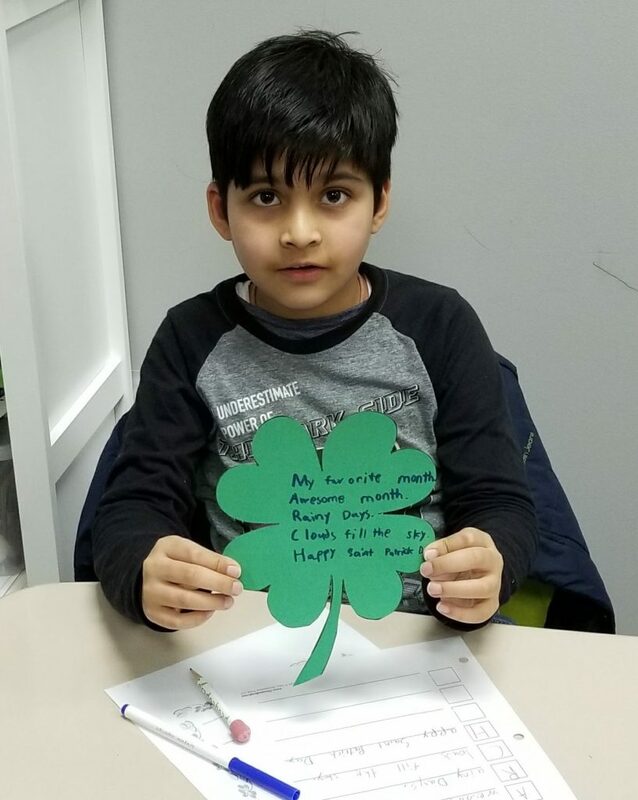 As St. Patrick’s Day was fast approaching, the students in my 4th grade English class wanted to do a project. Since we have been working on a poetry unit, we decided that we would use this theme for our project. First, we discussed the who, whys, and hows of St. Patrick’s Day. 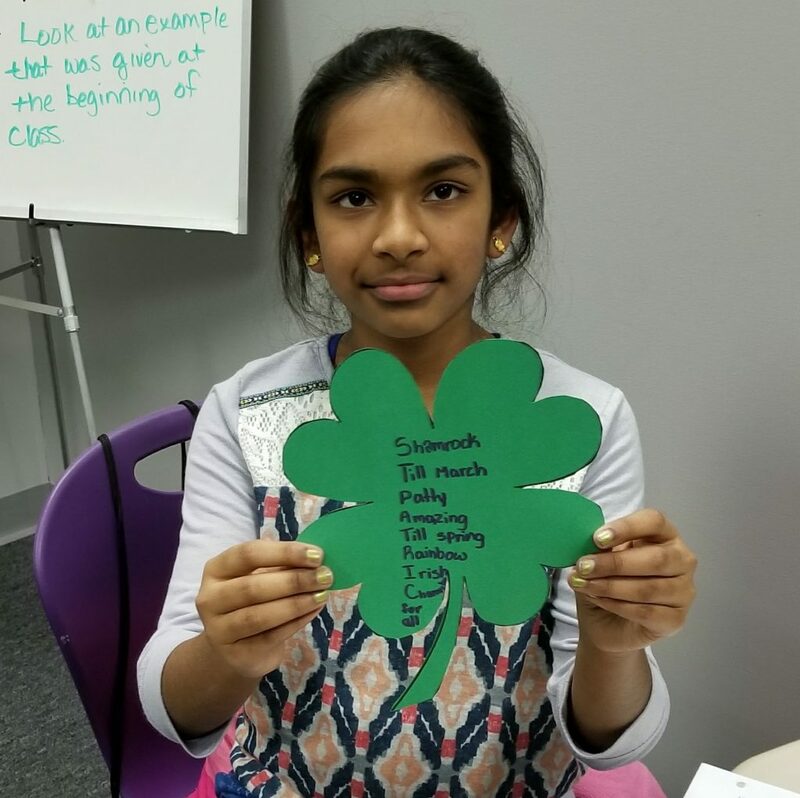 We talked a little about who St. Patrick was, why he is important to Ireland and how the symbols became associated with the day. Although St. Patrick’s Day is only celebrated in a few countries, the United States has some of the biggest celebrations in the world. Then, the students were given the opportunity to choose which type of poem they wanted to write. We discussed what a limerick was and reviewed an acrostic poem. ALL of the students opted for the acrostic for the project because they felt they needed more time for the limerick. So the acrostic was the winner, and each student was given extra worksheets to take home to give the limerick a try. Here are the poems they wrote in class. Some students held theirs up for yours to see while others wanted to read them for you, too! I hope you enjoy the works of the students, I know I did!